Strategize to successfully manage a portfolio of mutual funds. 2. 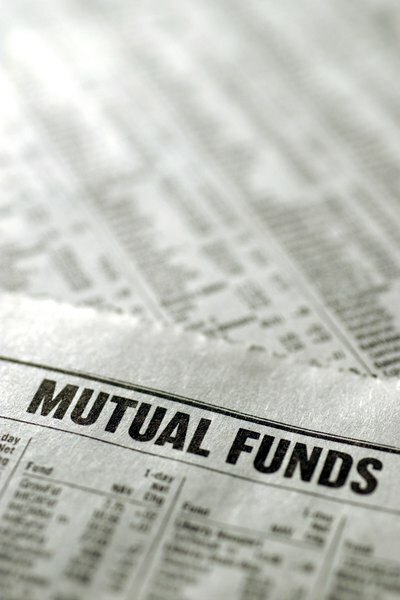 What Does It Mean to Be on a Mutual Fund Watch List? Investing in mutual funds is a good way to add both diversity and liquidity to your investment portfolio. If you are just starting out or have limited funds to invest, the relative affordability of mutual funds can make them an even more attractive option. Just as with any other type of investment, however, mutual funds carry some degree of risk. In addition, investing in mutual funds is different than investing in individual stocks and bonds While still possible and definitely necessary, managing a portfolio of mutual funds requires a different approach than with individual stocks and bonds. Managing a portfolio of mutual funds requires a plan and a disciplined approach. Because you have far less control over a mutual fund portfolio than you do when purchasing stocks individually, it is essential that you assess your risk tolerance, set goals and create a strategy to help you avoid pitfalls common in mutual fund investing. MarketWatch investment editor Jonathon Burton suggests looking for consistent performance, limiting your mutual fund portfolio to no more than three in any asset class, watching for a change in the fund's investment strategy if a new manager takes over and creating an investment strategy of your own that you believe in and can follow long term. Understand the concept of "net asset value" and that mutual fund pricing differs from individual stocks. NAV is essentially a determination of an investment company's net worth – its assets minus its liabilities. Investment companies calculate the purchase price of a mutual fund by first dividing NAV by the number of outstanding shares and then adding in any associated purchase fees. The price you get at selling time is NAV minus any associated sales fees. However, unlike traditional stocks, where you can get current pricing information in real-time, investment companies calculate and publish pricing information only once per day. Monitor pricing by checking a daily newspaper, or by calling or visiting the investment company's website. Choose an investment strategy in line with your goals and risk-tolerance level. Of the four most common mutual fund investment strategies, two worth considering are "buy-and-hold" and "performance-weighting." Buy-and-hold works under an assumption that markets rise in price 75 percent of the time and fall 25 percent. This is a relatively simple strategy: If you can hold on through the "falls," it puts time and statistics on your side. Performance-weighting is an active management approach. Instead of watching prices while riding out the waves, you watch prices and rebalance, or make adjustments to your mutual fund portfolio along the way. Because this strategy employs a different sort of logic -- sell funds performing well to purchase funds performing poorly – you need to be able to keep emotion to a minimum and understand that cycles will most often allow you to come out ahead. Investing in mutual funds means you are purchasing a pool of investment vehicles over which you have no control. Develop a relationship with your investment manager and work with her to make decisions on mutual funds that are right for you. If your situation allows you to reinvest dividends or capital gains disbursements, consider this as a definite possibility. Most often, reinvesting profits means you will not have to pay the upfront sales fees an initial purchase requires.